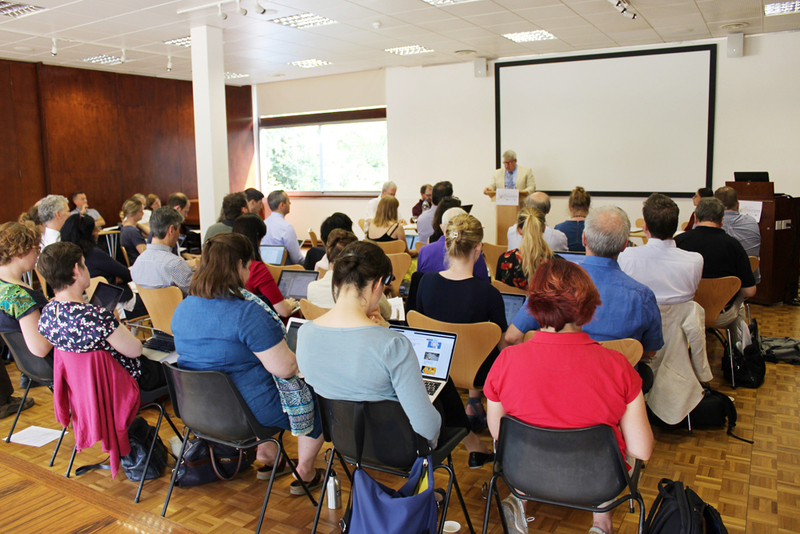 As we begin planning Digitizing Enlightenment IV, which will take place in the context of the ISECS Congress in Edinburgh in July 2019, we are keen to broaden the scope and breadth of the Digitizing Enlightenment community in order to highlight new, and existing, digital projects across the interdisciplinary spectrum of eighteenth-century studies. 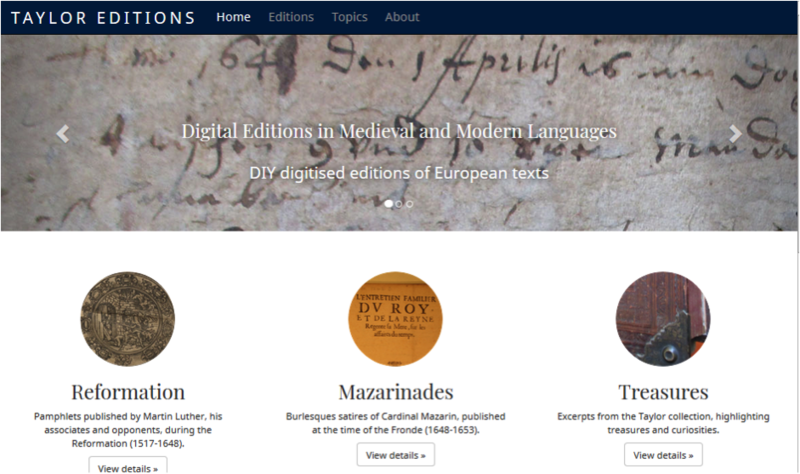 This post, based on work presented at the Digitizing Enlightenment III workshop held in Oxford in July 2018, demonstrates how to identify text reuse – citations, borrowings, plagiarisms – as well as other techniques for leveraging freely available large data-sets from the 18C. 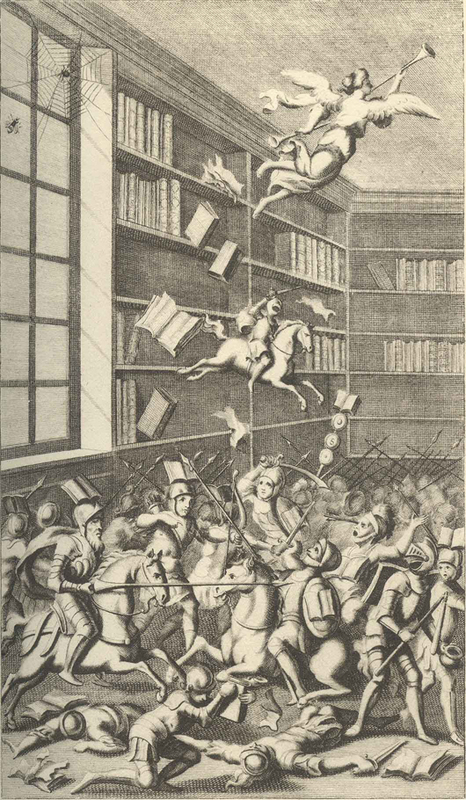 The incredible richness of the Newberry Library’s French Revolution Collection (FRC) has been long known. It consists of more than 30,000 pamphlets and more than 23,000 issues of 180 periodicals published between 1780 and 1810, representing the opinions of all the factions that opposed and defended the monarchy during the turbulent period between 1789-1799 and also contains innumerable ephemeral publications of the early First Republic. The Newberry has released digital copies of more than 35,000 pamphlets totalling approximately 850,000 pages. 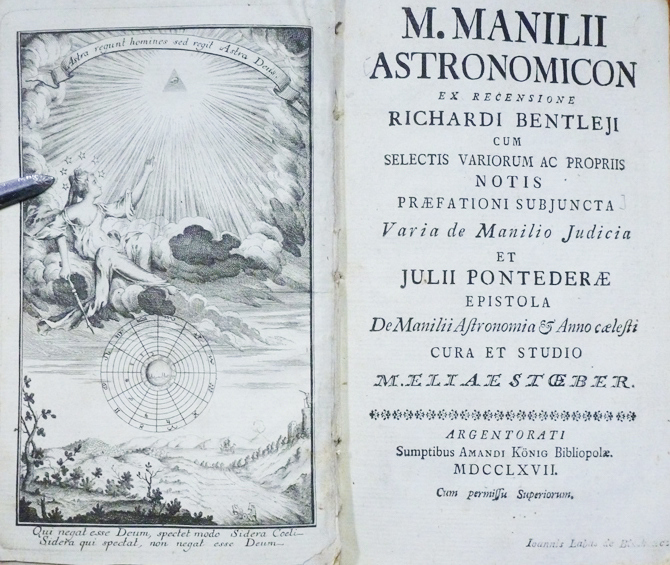 Not only has the Newberry made the collection available to the public, but it has released a data feed of the entire collection, consisting of the Library’s exceptional metadata describing each object, the OCR text data, and links to the digital facsimiles accessible from the Internet Archive, encouraging researchers and instructors to incorporate the digital collection in new kinds of scholarship and engagement. 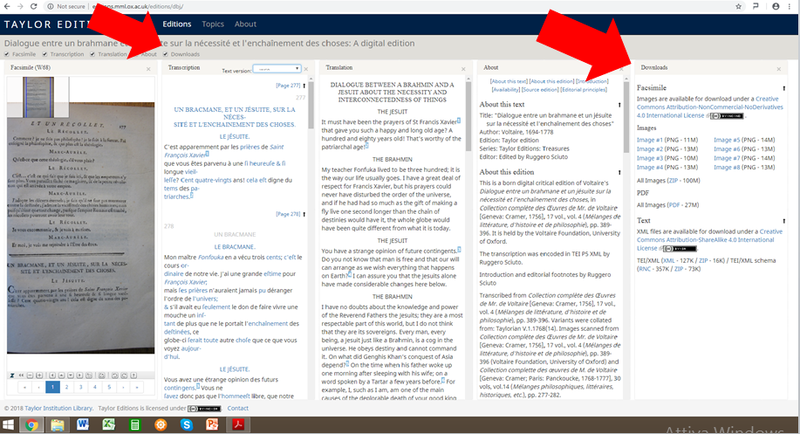 In order to facilitate experimental work at ARTFL on this unparalleled resource, we have loaded two versions of this collection – based on a download of the collection from the Newberry’s GitHub repository in November 2017 – into PhiloLogic4, the latest release of ARTFL’s text analysis software. The full version contains all 38,377 documents dating from the 16th century to the end of the 19th century. Our second build attempts to eliminate duplicate documents, is restricted to the period 1787-1799, and thus contains 26,445 documents. Additional implementation information and full open access to both versions of the FRC collection are available online. The quality and coverage of the FRC texts makes it an ideal environment to test a variety of experiments and algorithms to enhance access and open new kinds of approaches using the 1787-99 sample data. At the bottom of the ARTFL FRC page, we have provided links to several different models for examining the collection which are based on extensions to the PhiloLogic4 package. The simplest model is a document level search which returns matching documents by relevancy ranking based on Python Whoosh. This functions somewhat like a Google search on the collection, with links to the page images of the document or specific instances of the search words in context. 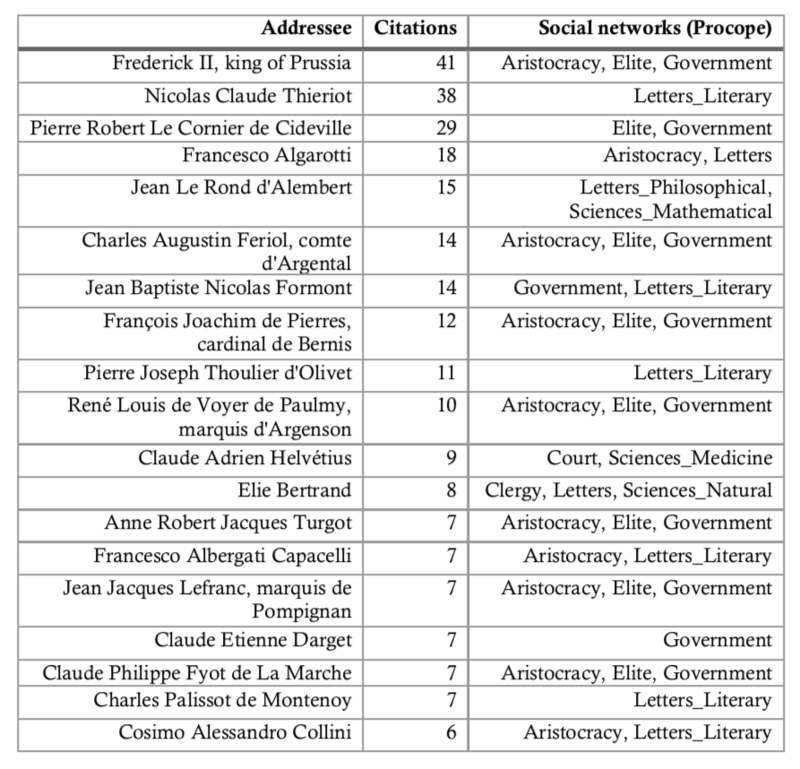 For example, the results of a search for “conspirateurs aristocrates ennemis étrangères royalistes” can be seen here. The second approach is the application of a Topic Model algorithm to the collection. Topic Models are a set of unsupervised learning algorithms that divide collections into a specified number of clusters based on vocabularies of each document which is widely used in digital humanities. 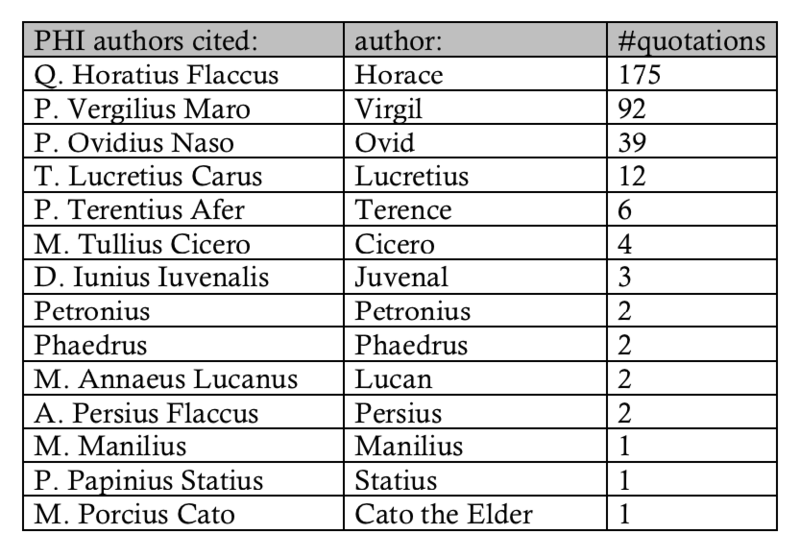 The results of the Topic Model has been added to the metadata of the PhiloLogic4 build of the 1787-99 sample data. Each document is identified as having a first and second topic, denoted as A or B, with a number from 00-49 as listed in this TABLE. This first column is the topic number, the second is one or more english keywords which can also be searched. The third column is the top 3 weighted words (features) of that topic, and the 4th column is the rest of the top 10, all of which are shown in relative weight order. Thus, A29 will return the documents that have money assignats as the top weighted topic. Searching for “money” in topic models will get this as eight the first or second topic. An alternative use of this data is to copy some or all of the terms in columns 3 and 4 into the Whoosh search form and get the documents in a ranked relevancy order. Our first presentation of our work at the Digitizing Enlightenment III showed results from applying the latest version of our sequence aligner to detect text reuse – citations, borrowings, plagiarisms, and so on – from pre-Revolutionary documents during the Revolutionary period. Sequence alignment is a family of algorithms used in a surprising range of disciplines from genetics to text analysis to identify similar segments of arbitrary length. 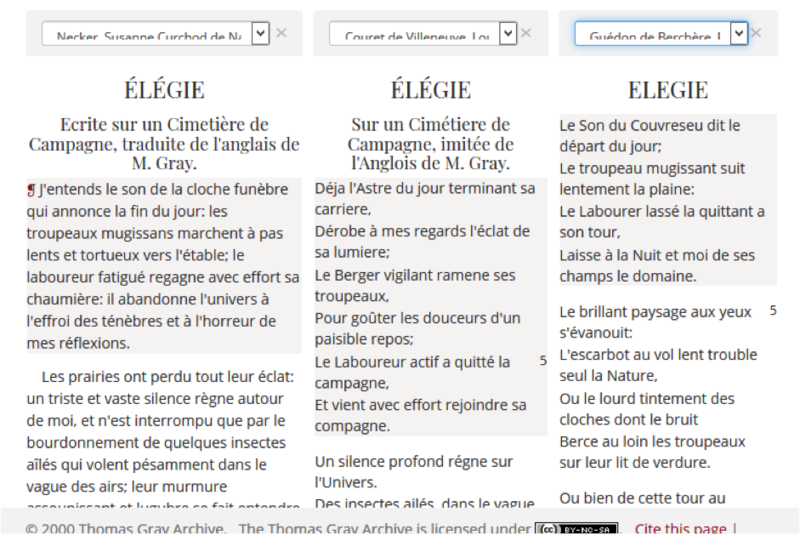 For this work, we aligned the FRC 1787-99 sample against ARTFL’s Frantext pre-1788 collection. The Frantext sample contains 1,263 documents and is particularly strong in 18th century holdings. 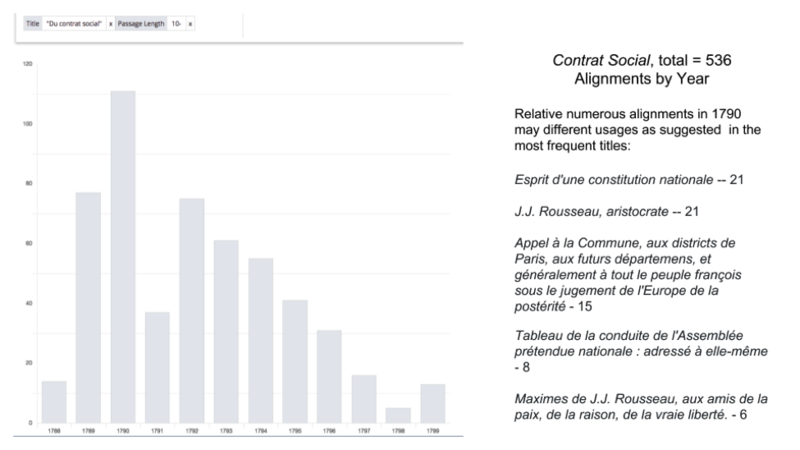 We loaded the results of the alignment run in a dedicated database which can be queried in a variety of ways, such as source and/or target metadata as well as by words in matching passages. The public database (June 22, 2018 build) found 8,937 aligned passages, or which around 1,000 were identified algorithmically as banalities. Filtering out shorter alignments, less than 10 words, results in just under 7,000 passages. It is important to note that these numbers are very relative, since they can vary significantly depending on the approach we use to identify and merge, where appropriate, longer passages. The general frequencies are not particularly surprising. The following is a table of the number of borrowed passages in the FRC by author. *D’Holbach appears as two entries due to slight metadata differences. The yearly distribution of borrowings from the top three Enlightenment authors again follows a reasonable pattern. 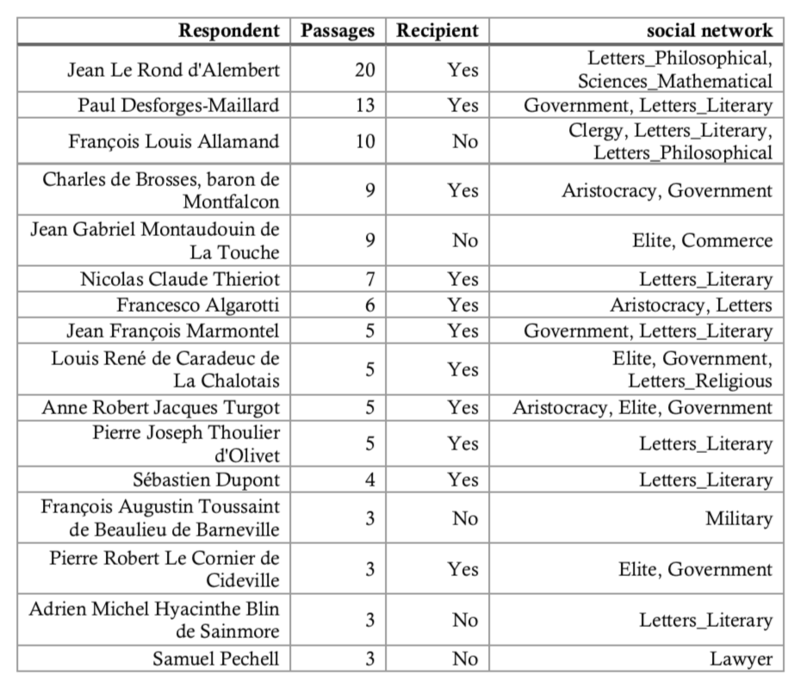 The annual distribution in the FRC of the 536 passages derived from Rousseau’s Contrat Social, seems reasonable and would match expectations based on other things we know. While the global numbers are interesting, if not very surprising, there are number of specific texts and authors which would warrant further investigation. There are numerous chapbooks, such as the Calendrier moral, 1794, which are interesting because of their selection of inspiring passages from various authors. 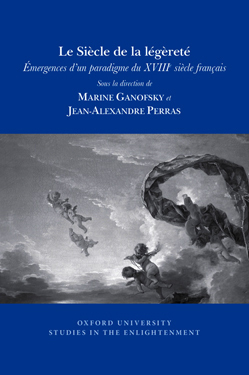 Jean-Jacques Barthélemy’s L’Accord de la religion et de la liberté (1791) features some 25 long extracts from d’Holbach’s Système social. The alignment database is available to the public. The database has a variety of useful features. 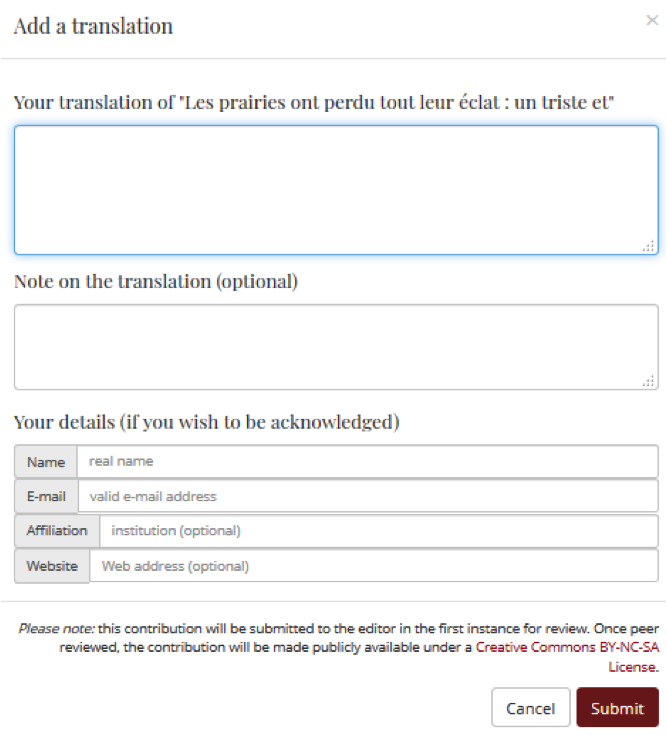 This link will push a search for all of the aligned passages in the FRC from Rousseau’s Contrat Social greater than 10 words. The report is laid out chronologically (in this case by FRC year). 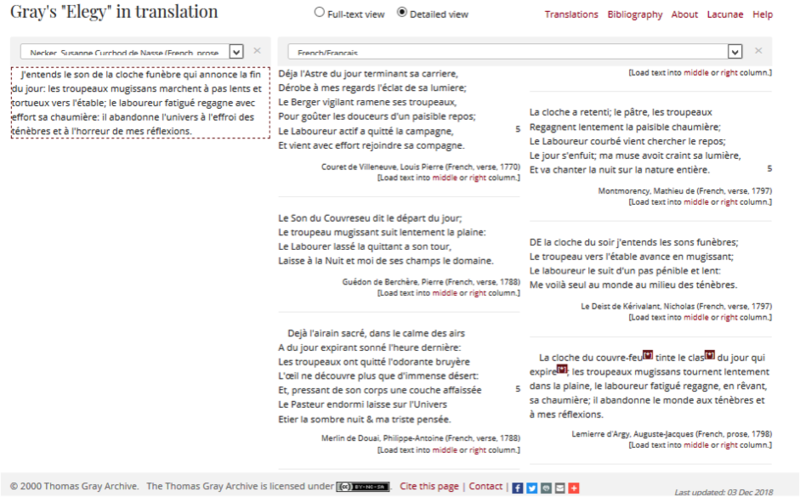 Each instance shows the matching passages with available metadata, links to the context of each passage, and a button to highlight the differences in each matching pair. The facets on the right will allow you to get frequencies by author, title, year and so on. Clicking on those will return the corresponding text pairs. We anticipate further experimental work on the FRC, most notably in using the excellent subject information as ways to assess the accuracy of Topic Modelling and to consider supervised learning algorithms to further classify the collection by subject. It is our pleasure to acknowledge that the Newberry Library has released this extraordinary resource under the Open Data Commons Attribution License, ODC-BY 1.0. We believe that this splendid collection and the Newberry’s release of all of the data will facilitate a generation of ground-breaking work in Revolutionary studies. If you find the collection useful, please do contact the Newberry Library to congratulate them on this wonderful initiative and how their efforts contribute to your research. We would love to hear from you. Please send comments, suggestions and problem reports to artfl@artfl.uchicago.edu. The Voltaire Foundation, in collaboration with the Cultures of Knowledge project, the Maison Française d’Oxford, the Oxford Centre for European History and the Centre for Early Modern Studies, was pleased to host the third instalment of the Digitizing Enlightenment conference series on the 19th and 20th of July. This was the first academic event organised under the auspices of the Voltaire Lab, and was made possible by further support from the John Fell Fund. The second gathering in Nijmegen in June of 2017, hosted by Alicia Montoya at Radboud University, continued these discussions and opened up more lines of communication and possible collaborative research across Europe and expanded our working notion of ‘Enlightenment’ as an historical period. These meetings thus established an international network of major digital humanities projects working on 17th- and 18th-century European intellectual and literary history. As a group, these projects have sought to identify and work collaboratively on shared research problems, solutions, and resources generated by their respective research programs in order to facilitate more comprehensive approaches to some of the major problems in the field today. Greg Brown and conference attendees, Maison française d’Oxford. Digitizing Enlightenment III was, by design, more focused than the prior meetings: it was aimed more narrowly at the hot topic of historical prosopography and network analysis, an area in which we felt the DE network can potentially provide leadership, and which could provide technical solutions that might allow for the integration of a whole range of ambitious projects in this field. The first two conferences were modest in size and quite international: 15-20 papers over two days, with 30-40 people in attendance. 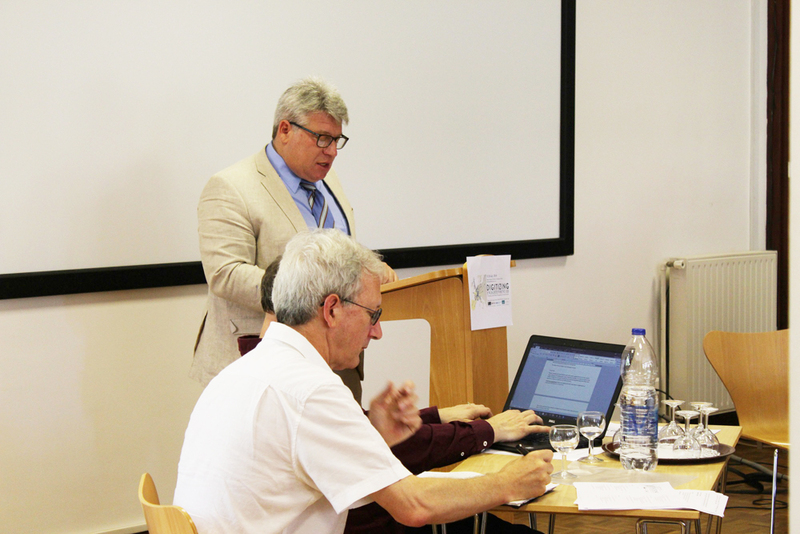 With our narrower focus, the third meeting was somewhat smaller but even more international, with participants from Australia, Austria, France, Germany, the US, and the UK. Accordingly, its format was more concentrated, in the form of six thematic round-tables, each dedicated to proposal and discussion of functional solutions to real-world problems already encountered in network analysis and prosopography of this period. 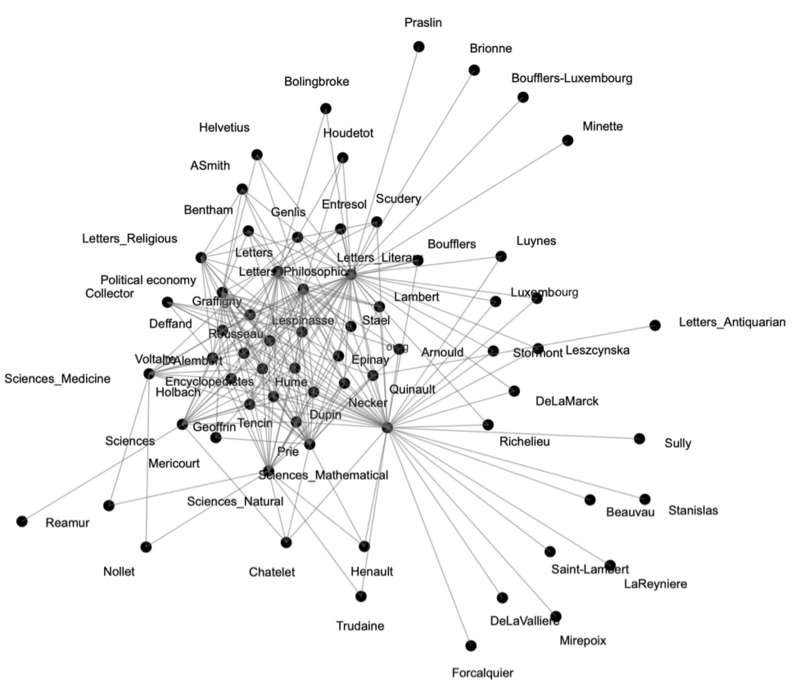 What are historical or intellectual networks? How to re-construct a social network? Who or what is excluded from networks? What lies beyond networks, beyond prosopography? How to link, sustain, and maintain networks? A final roundtable was dedicated to discussion of next and future steps in this collaborative work, and where it was decided that we should aim to hold another event either during or around next year’s ISECS International Congress on the Enlightenment in Edinburgh. Greg Brown (standing) and Howard Hotson. Participants were also treated to a reception and dinner at Balliol College, generously sponsored by the Bodleian Libraries. Between roundtables, we invited participants to present some of the current projects that are underway in the broad field of digital Enlightenment studies. These short presentations included already established projects, such as Early Modern Letters Online, the Quill Project, and Six Degrees of Francis Bacon, as well as new projects, such as the sequel to Simon Burrow’s FBTEE project, Mapping Print, Charting Enlightenment, and projects not yet fully developed on an early modern digital gazetteer, a new prosopographical model for natural law academics, and a project underway at Stanford on 18th-century salons as ‘networks’. Lena Zlock is a rising senior at Stanford University double-majoring in History and French. She is the principal investigator of the Voltaire Library Project, a digital humanities study of Voltaire’s personal library. She will be working at the Voltaire Lab during the summer of 2018. Her work is supported by the Vice Provost for Undergraduate Education at Stanford University. Lena can be reached at lzlock@stanford.edu or @LZlock89. In the firmament of the Siècle des Lumières, Voltaire is the sun. His presence in the Enlightenment world is enormous by any metric. In life as in death, Voltaire’s name came to signify those who challenged orthodoxy and convention. When asked why philosopher Jean-Paul Sartre had not been arrested for his polemical critique of the Algerian War, French president Charles de Gaulle, simply replied, ‘One does not arrest Voltaire’. To understand Voltaire’s thinking and impact, where better to look than his massive library of 6700 volumes? Much like its owner, the library has both a fascinating history and afterlife. It was sold to Catherine the Great of Russia by Madame Denis – Voltaire’s niece and lover – shortly after the author’s death in 1778. Catherine the Great was one of Voltaire’s most powerful admirers, writing to him in 1763, ‘By chance your works fell into my hands; and since then I have never stopped reading them, and have not wished to have anything to do with books which were not written as well and from which the same profit could not be derived.’ In 1779 the books started the perilous journey from Voltaire’s château in Ferney all the way to the Hermitage in St Petersburg. 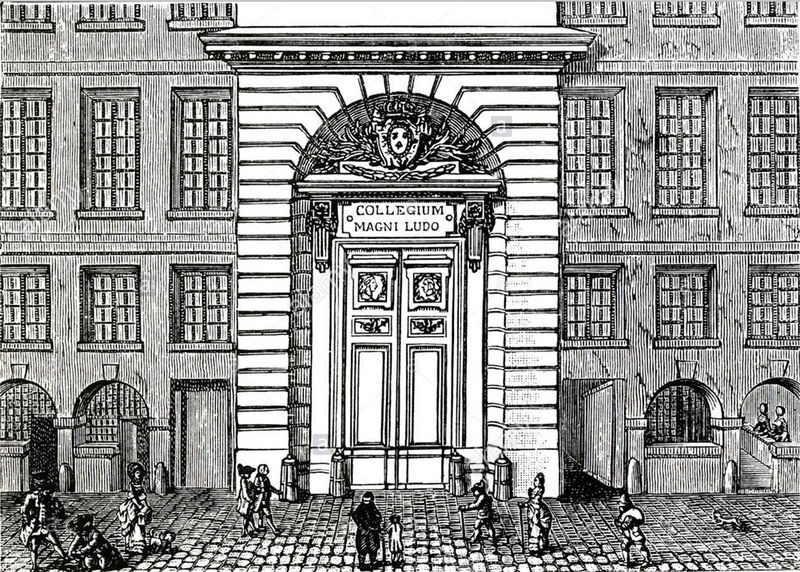 Under the careful watch of the Empress, the library was sorted and placed into the Hermitage Palace, alongside the library of fellow philosophe Denis Diderot. 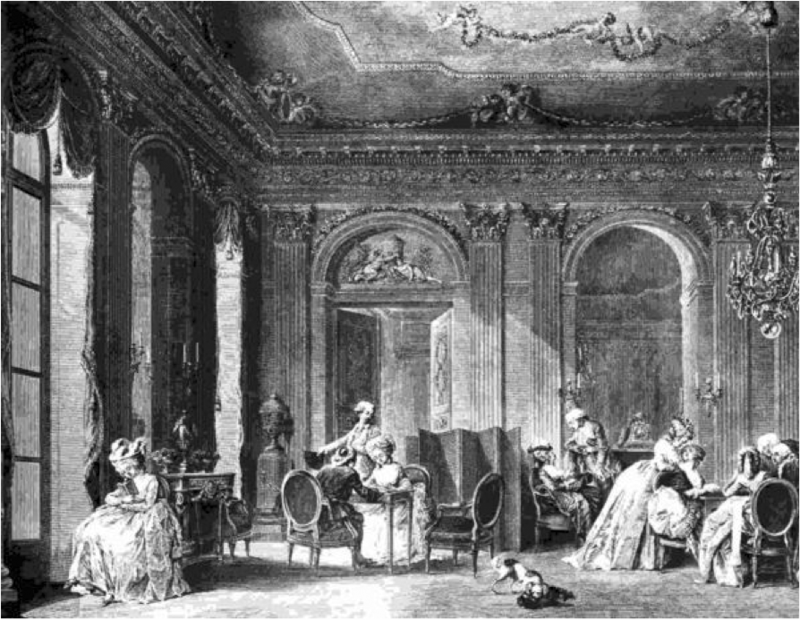 However, the contents of Diderot’s library were dispersed throughout the Hermitage. Voltaire’s library thankfully remained intact, with an occasional book identified as mistakenly belonging to the sire of Ferney. ‘Before the Title of the Battle’, frontispiece to the Battle of the Books in the 1710 edition (London) of Jonathan Swift’s A Tale of A Tub. His library is extraordinary for this period not only because it remains intact, but because it was a working library, rather than a collector’s library. Gorbatov’s thesis of ‘the working library’ is especially helpful in understanding Voltaire’s interaction with his books. It was active and even chaotic, akin to Jonathan Swift’s depiction of a ‘battle of the books’. But even with this flurry of activity, Voltaire’s was a curated library for the purpose of research and writing, which means that deliberate choices were made as to what became part of the collection. With marginalia in over half the books, the story of the library is in many ways the origin story of Voltaire’s corpus. In 1961, Soviet researchers put together a catalogue of the library, including titles; names of authors, editors, translators, and publishers; places of publication; and real and false data for books that were censored or printed underground. In studying the library, researchers usually flip through the catalogue to find a particular book (e.g. did Voltaire have works by John Locke? Yes, but not the ones you think). What if we could study hundreds or even thousands of books at once? With the advent of digital humanities, we can now visualize the full breadth and depth of Voltaire’s ‘laboratory’. How many works of history did Voltaire own? Science? Theology? Jurisprudence? Did he purchase these books or were they gifted to him? How many were clandestinely printed? Where is the historical weight of the library? The goal of my project is to create a three-dimensional portrait of Voltaire’s ‘life of the mind’. My current project is building a database of the library. I took the library catalogue and ran it through Optical Character Recognition (OCR) software, making it machine readable (I am lucky to have Russian as my native language, otherwise the structure of the catalogue would have been unintelligible). Each of the 6700 books is organized along 130 metadata categories – including data on authorship, publication dates and locations, and censored works. These categories combine modern typologies with those intelligible to Voltaire and his contemporaries, such as 17th-century bookseller hierarchies of genre. The database is enriched through linked data, drawing on repositories like Wikidata, Geonames, Virtual International Authority File (VIAF), and BnF Gallica. My research is guided by two questions: what forces – social, literary, geographic, political – shaped Voltaire’s library? And what in the library shaped Voltaire’s corpus? These questions are often two sides of the same coin. 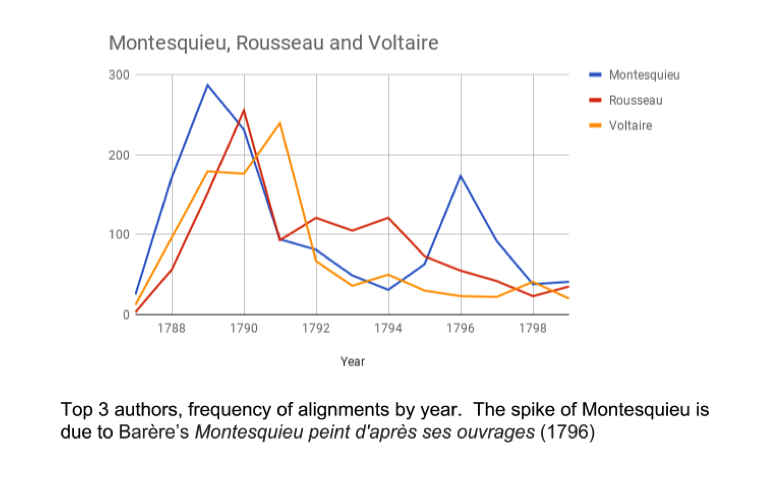 Using a big-data approach to the library, we can visualize the patterns that shaped the library, and in turn Voltaire’s own work. My goal is to recreate the experience Voltaire himself had as a researcher in the library. The library database will form part of a larger cross-referencing system. 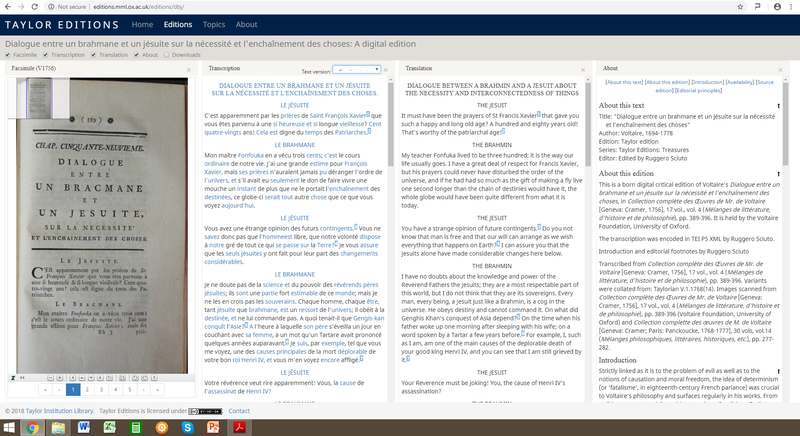 This system will incorporate a digitised version of Voltaire’s marginalia, as well as the current Electronic Enlightenment database. Users of the database will be able to reference his marginalia in the books, as well as letters to and from the individuals – authors, publishers, editors – in the library. By immersing ourselves in the laboratory of Voltaire’s mind, we can gain new insights into the Enlightenment’s lodestar. Quoted in Inna Gorbatov, ‘From Paris to St Petersburg: Voltaire’s library in Russia’, Libraries & the Cultural Record, vol.42, No.3 (2007), p.308-324 (p.308). Gorbatov, ‘From Paris to St Petersburg’, p.314.